NET have had a long working relationship with ZAE for many years. Spare parts are held in stock, which means that maintenance or small repairs can easily be carried out at our works. We also supply new replacement units of Worm Gears, Bevel Gears and Servo Gear Units. Worm gear units are favoured in general machinery and plant engineering. Bevel gear units are favoured when unfavourable installation conditions necessitate a direction change in the transmission. The bevel gear sets have spiral toothing and are manufactured from alloy case-hardened steel. All gear unit housings are cuboid in shape, are machined on all sides and also have mounting holes on all six sides. Additionally there is a centring fit. 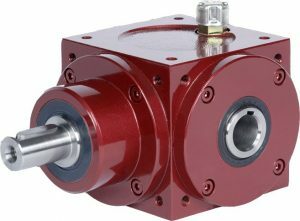 The new servo gear units are individually matched at the drive side for each servomotor. Optionally a second drive shaft end is provided, e.g. for attachment of a rotary encoder. These industries require a very high level of hygiene.